Altaro released a new version of their flagship product: Altaro VM Backup version 8. Altaro VM Backup v8 introduces WAN-Optimized Replication functionality, that enables users to be back up and running in minimal time should disaster strike by switching to a replicated virtual machine (VM) that is running offsite. MSPs can now add WAN-Optimized Replication to their offering, with the ability to replicate VMs to the MSP’s infrastructure so that if a customer site goes down, that customer can immediately access its VMs and continue working through the MSP’s infrastructure. This is one of the other features Altaro customer were asking. Support for latest release of Microsoft Windows Server is crucial in my opinion. Altaro Office 365 Backup for MSPs backs up mail items and their attachments. Backups take place automatically several times per day to a secure cloud backup location hosted by Altaro. MSPs can manage and monitor the mailboxes they are handling per customer through a centralized, multi-tenant online management console, at a monthly fee. Besides cool product updates from Altaro, they announced as well community portal to bring IT pros together, connect and enable members to learn and share their knowledge with one another. 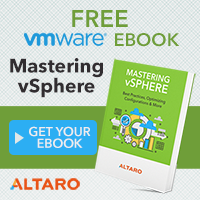 Don’t miss a chance of trying out Altaro v8 VM Backup. 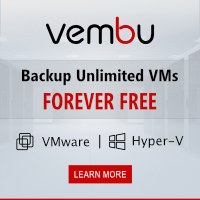 You can backup unlimited VM’s in trial period. 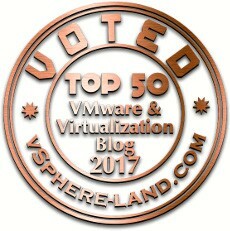 Afterwards you can get up to 2 VM’s free, forever.